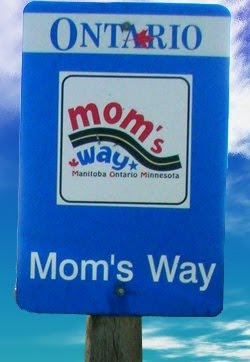 MOM's (Manitoba Ontario Minnesota) Way is a 400km drive on well-paved roads that links Winnipeg, Thunder Bay and northern Minnesota. Driving along Highways 11 and 12 you will see beautiful forests and glorious sunsets as you cross the same historic boundaries Natives once traversed in canoes. Think about seeing the individual communities linked by MOM's Way--including Winnipeg, Steinbach, Sprague, Warroad, Baudette, Rainy River, Fort Frances, Atikokan and Thunder Bay--in a Ontario motorhome rental for ease of travel and comfort. Go to Motorhome Roadtrip to read the full article about MOM's highway.